Tata Consultancy Services jump in net profit helped by growth in Europe, APAC and investments in digital tech. 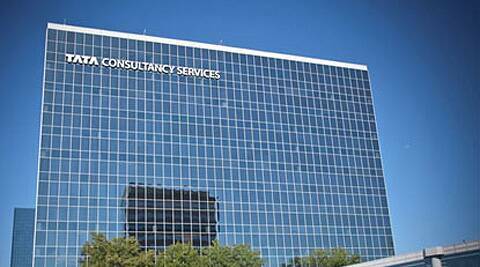 The country’s largest software services firm Tata Consultancy Services (TCS) today reported a 48.2 per cent jump in consolidated net profit to Rs 5,357.6 crore for the quarter ended March 31, helped by growth in Europe and APAC and investments in digital technologies. The city-headquartered firm had posted a net profit of Rs 3,615.64 crore a year earlier, it said in a BSE filing. Consolidated revenue for the January-March quarter was up 31.2 per cent to Rs 21,551.09 crore from Rs 16,430.09 crore in the year-ago period. The results are on India GAAP basis. “We have delivered strong growth and strengthened our competitive positioning in the market. We have maintained our momentum, improved our quality of growth, deepened our relationship with customers and expanded our presence in the newer markets of Europe during the past 12 months,” TCS Chief Executive Officer N Chandrasekaran said. The firm’s strategic investments, including those in digital technologies, are providing a compelling value proposition as well as helping the company anticipate and shape new market trends successfully, he added. Sequentially, net profit was up 0.5 per cent from Rs 5,333.43 crore in the October-December quarter, while revenue rose 1.2 per cent from Rs 21,293.96 crore. For 2013-14, net profit was up 37.69 per cent to Rs 19,163.8 crore and revenue grew 29.87 per cent to Rs 81,809 crore. TCS added a net 9,751 employees in the fourth quarter and a net 24,268 employees during the entire financial year to take its head count to 300,464. “Europe led growth in major markets, while UK and North America continue to grow in line with the company average. All major industry verticals grew in double digits led by retail, manufacturing, life sciences & healthcare and BFSI during FY 2014,” TCS Chief Financial Officer Rajesh Gopinathan said. There was holistic growth across markets and industries during the financial year, he added. The company’s full-service capabilities continue to be leveraged by customers, with new service lines growing at a fast pace led by infrastructure services, assurance services, global consulting and enterprise solutions, Gopinathan said. TCS signed nine large deals across verticals during the fourth quarter, the company said. In US dollar terms, revenue stood at USD 13.4 billion, up 16.2 per cent and 17.3 per cent in constant currency, year-on-year, while net profit rose 22.9 per cent to USD 3.1 billion. TCS had liquid assets including cash and cash equivalents of Rs 1,468.8 crore in the fourth quarter. The company announced total dividend at Rs 32 per share, including Rs 20 proposed as final dividend for fiscal 2014. “We are upbeat that the next 12 months will bring many more opportunities for growth across multiple industries and markets,” Chandrasekaran said. The company said it trained and integrated 61,200 professionals who joined TCS during 2013-14. “With business demand continuing to be robust, we have made almost 25,000 fresh offers on engineering campuses for trainees who will join us from the second quarter of the new fiscal year,” TCS Executive Head Global Human Resources Ajoy Mukherjee said. In January-March, its gross employee additions were 18,564 professionals. Of these, 7,572 trainees and 7,401 laterals were recruited in India, while 3,591 employees were hired in international locations. (Reuters) Tata Consultancy Services Ltd , India’s largest IT services exporter, posted a 51.5 percent rise in quarterly net profit, beating expectations, as it won more contracts in Europe and some emerging markets. Net profit for the fourth quarter ended March 31 rose to 52.97 billion rupees ($879 million) from 34.97 billion rupees a year earlier, Tata Consultancy Services (TCS) said in a statement on Wednesday. The company is part of the salt-to-software Tata conglomerate. That compares with the 51.98 billion rupee average of 23 analyst estimates. Shares of TCS closed at 2,196.30 rupees on Wednesday. The results were released after market close.